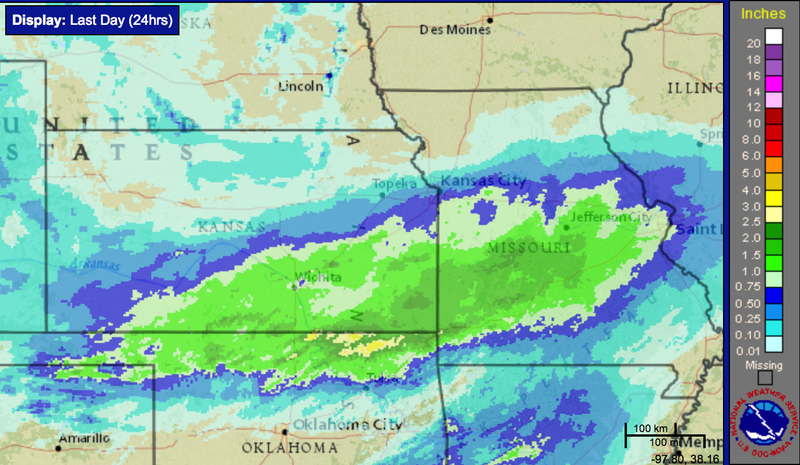 Above is the rainfall for the 24 hours ending at 3pm. 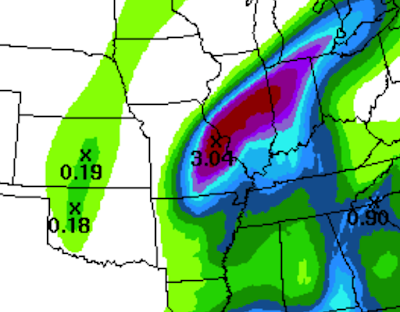 Here is the NWS's forecast of additional rainfall for the 24 hours beginning at 7pm this evening. 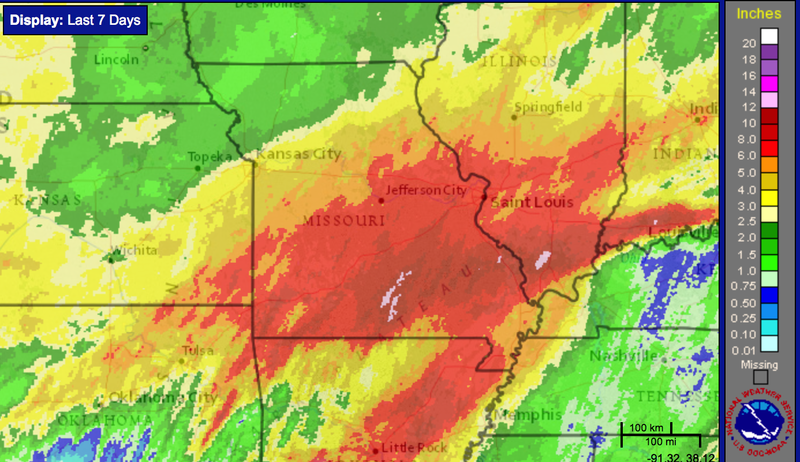 While most rivers are at or near their crest, an additional 3 inches of rain will prolong the flooding in many areas and will cause some of the smaller streams to rise again. The 7-day rainfall map shows more than 20" in a number of locations. 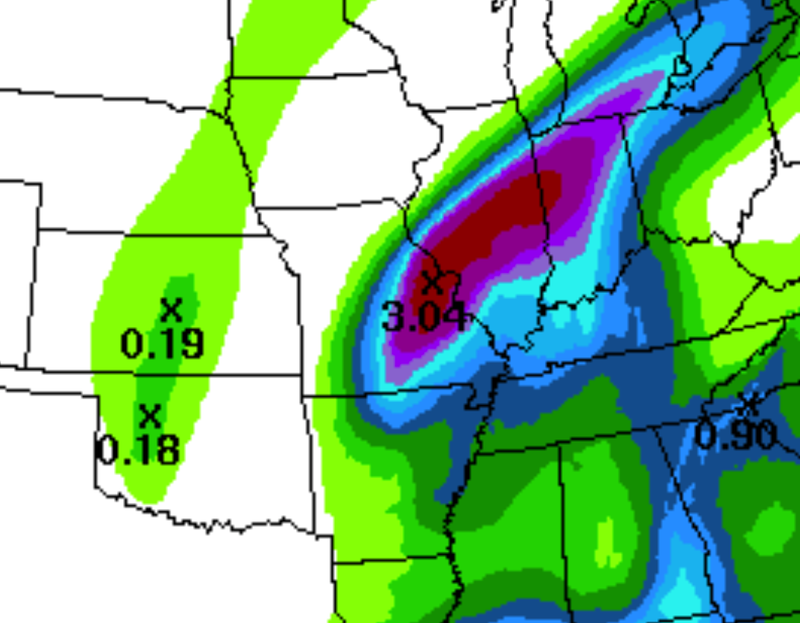 Some of the 20" areas should get another 1-2 inches if the NWS's rainfall forecast is correct. If you note the posting below, so many bridges are closed or will be closed this evening in south St. Louis that emergency management is telling people to pick a slide (my words) of the river now because they will not be able to cross back to the other side for, perhaps, days. This will be true in other areas with these additional rains.